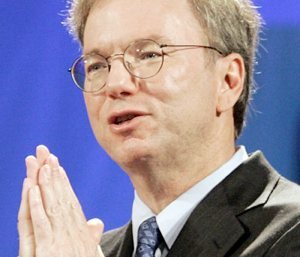 During his visit to South Korea as part of his Asian tour, Google's executive chairman Eric Schmidt took the opportunity to play down concerns that the search giant would give preferential treatment to Motorola once its planned purchase is completed. South Korea is home to the world's biggest Android phone vendor, Samsung Electronics Co, which is in patent disputes with Apple as the iPhone maker seeks to curb Android's strong growth. "In general, with all of our partners, we told them that the Motorola deal will close and we will run it sufficiently and independently, that it will not violate the openness of Android...we're not going to change in any material way the way we operate," Schmidt told reporters during his visit on Tuesday. His comments will likely reassure HTC and Samsung, as well as other Android-based handset manufacturers, especially given that the two firms are locked in bitter disputes over patents that Apple say infringe their designs. When asked about the criticism given by the late Steve Jobs, that Android phones ripped off Apple's flagship phone Schmidt said, "the Android effort started before the iPhone effort." "I've decided not to comment on what's been written on a book after his death. Steve is a fantastic human being and someone who I miss very dearly. As a general comment, I think most people would agree that Google is a great innovator and I would also point out that the Android effort started before the iPhone effort," Schmidt said. His comments were in response to Steve Jobs' biography released last month, where he vowed to 'destroy' Android: "I will spend my last dying breath if I need to...to right this wrong. I'm going to destroy Android, because it's a stolen product. I'm willing to go to thermonuclear war on this." During his visit, he met with executives from Samsung and LG Electronics, as well as cell carriers SK Telecom, KT Corp and LG Uplus. He also met with South Korean President Lee Myung-bak and announced that Google is to open a YouTube channel dedicated to Korean pop music.